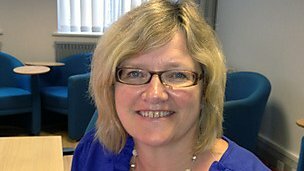 Claire Prosser, founder and former director of the BBC Journalism Trainee Scheme, has died suddenly. She was taken ill last week and did not survive the subsequent heart surgery - news that has stunned and saddened her many colleagues and friends at the BBC Academy and in BBC News, where she started her career. A former print journalist, Claire's first BBC role was at Ceefax as a sub-editor. She went on to be assistant editor in the radio newsroom, editor at Ceefax and assistant editor on 5 live's drive and breakfast shows. She was manager of the news sponsorship scheme before taking charge of the Journalism Trainee Scheme. It was a job 'she loved so much and made her own', said Mark Wray, head of the College of Journalism. 'Under her leadership, mentoring, nurturing, and stewardship, Claire championed the pursuit of fresh, diverse entry-level talent into BBC News, helping to make it a more representative workplace more in touch with its audience,' he continued. Many of them have taken to Twitter to pay tribute to the woman who opened the door to their media careers. BBC video journalist Tolu Adeoye described a 'Lovely, bubbly lady, fantastic laugh. Gave me first BBC job as a trainee @bbcjts. Will be missed'. Tim Hague, a Salford-based assistant producer in sport news, said he was 'devastated' by the news. 'Gave me my bbc start. Thoughts with her husband & daughter. She was an inspiration. So unfair,' he tweeted. And Laura MacDonald, BBC School Report producer, praised 'the kind, supportive, brilliant' Claire. 'An incredible woman who helped so many people,' she said. Wray, who will be writing an obituary for Ariel, added his own words of admiration. Claire left the BBC last year, becoming a consultant at the London College of Communications and setting up her own specialist media CV company. But she also returned to the BBC in a freelance capacity, helping BBC Scotland recruit trainee researchers for its Referendum scheme and as a trainer with the Journalism Foundation and Editorial Leadership teams in London. Former colleagues will be gathering on Tuesday (1.15pm in the Ennis Room, Broadcast Centre, and 4pm in NBH in the Academy Space on the third floor) to remember their 'dear friend' and to offer support to each other through this difficult time. Prosser was active on Twitter just last week, drawing attention on November 26 to the success of the Tom Clabburn Fund. Named after her son, who died suddenly in 2007 at the age of 14 from an undiagnosed heart defect, the charity has enabled 'more than 1,100 free @CRY_UK heart screenings since 2009', she retweeted with evident pride. She leaves husband Paul Clabburn, who worked as an editor in the BBC newsroom for many years, and daughter Ellen.